Born in Germany, the Italian soprano Claudia Oddo gained her first stage experience at the age of 14 at the opera house of her native city, Bielefeld. There she received her ballet, piano and first vocal training. She performed as dancer, actress and chorus-singer in the theatre’s operas and ballets until she moved to Italy where she started her classical voice studies at the conservatories in Bologna and Modena. By the age of 21 she had already made her concert debut as a solo vocalist in the contemporary music theatre play “Siate Parchi“. 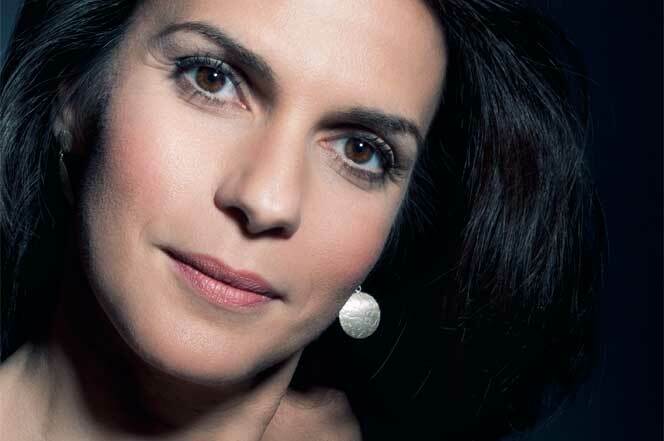 Claudia Oddo’s performances in concert and opera are an equally important part of her schedule. She currently performs numerous concerts in Europe with excellent musicians, ensembles and orchestras. She is well known for her extraordinary concert programs of combining classical music to visual and multimedia arts. 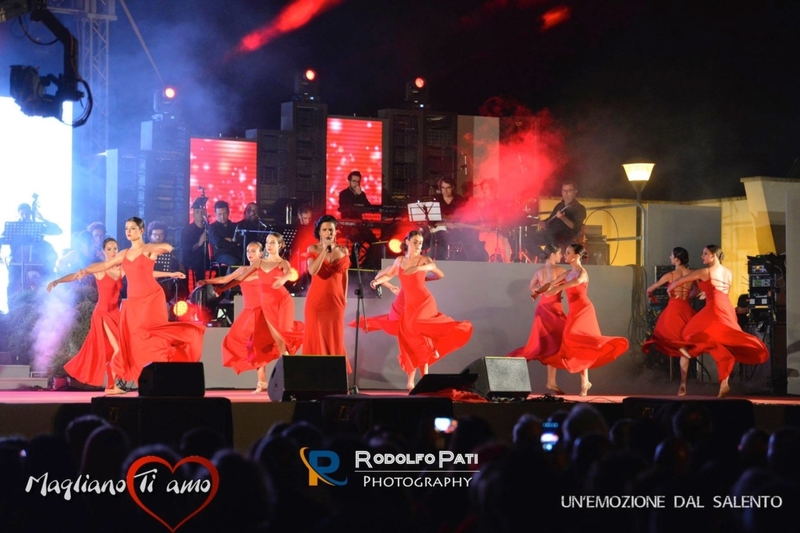 In 2018 Claudia Oddo published the a capella recording of the European Anthem “Ode an die Freude” by Beethoven with her choir “Mondo Musica” with which she has performed on the 75th national Italian feast at the city hall of Dortmund invited by the Italian council Dr. Franco Giordani. For the international multimedia project “Video catechism of the Catholic Church” produced by the “CrossinMediaGroup” in collaboration with the Libreria Editrice Vaticana, her first song “Fiori di passione” has been chosen as a soundtrack and will be performed on her next concert tour with the ensemble “Terra del Sole” directed by Enrico Tricarico who invited her to sing at the 14th summer music festival “Un emozione dal Salento” . 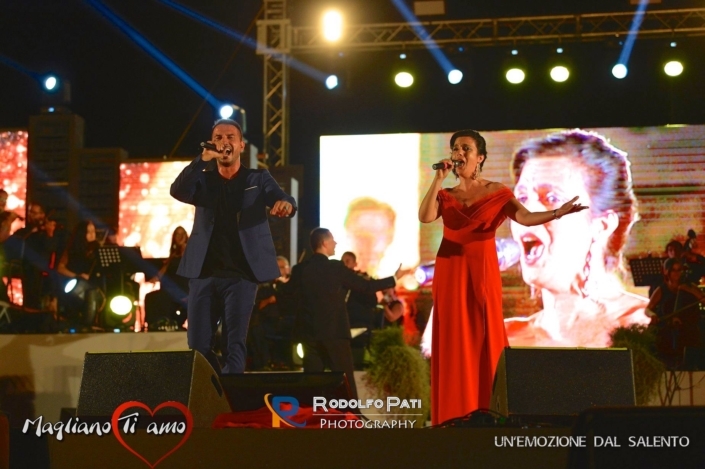 There she performed for the first time her cross over song “Addio del passato” with orchestra, which has been composed by the German composer Andreas Gotthilf and the lyrics are written by Claudia Oddo. The music art video interpreting this song is directed by the Italo- German artist Ippazio Fracasso-Baacke and has been published in 2016. 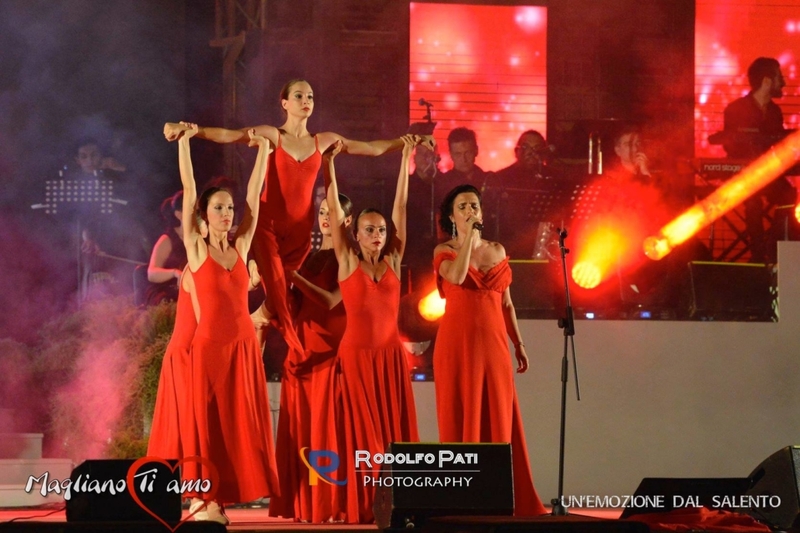 In 2017 she plays the role of Puccini’s “Tosca” in the ART VIDEO MUSICALE recorded at the Castle of Gallipoli under the direction of Maestro Ippazio Fracasso-Baacke which was released at the „Teatro Paisiello” in Lecce. 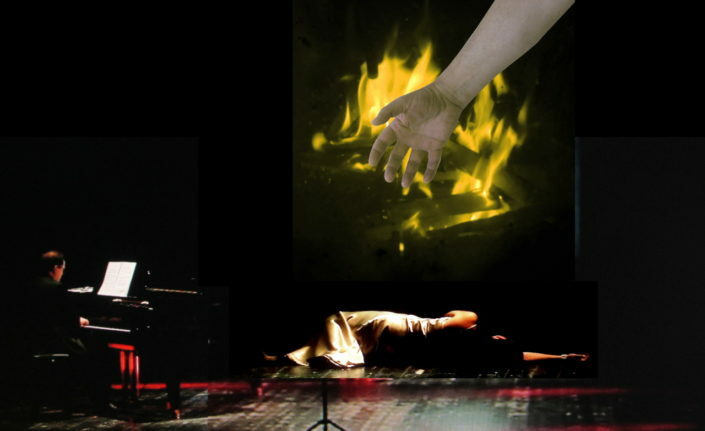 In 2016-2015 accompanied by the Opera Award winner Roberto Corlianò she has been realizing the „Opera & Arte“ program with the scenography art video and paintings of the Italian- German artist Ippazio Fracasso – Baacke at the Palazzo Vernazza and the Carlo V Castle of Lecce and at the Rudolf Oetkerhalle Bielefeld organized by the Institute of Italian Culture of Lecce and with the patronage of the German Embassy of Rome and the city of Lecce. 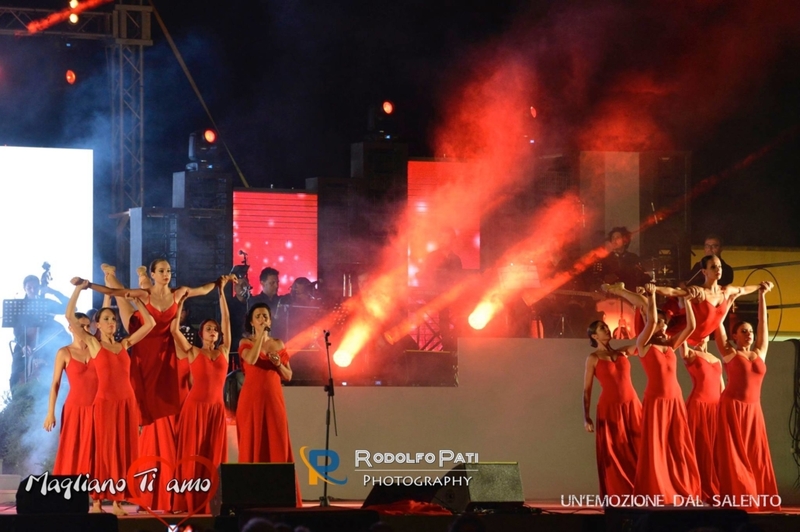 Concerts and recitals in 2017/2016 included a tourney between Germany and Poland (Festival „Jan Kiepura” in Krynica Zdroij) performing with the “Bulka Ensemble” her album “Claudia Oddo sacred music” which was her second international album “Claudia Oddo sacred music” recorded by Audio Classica in Cracow and distributed by Omoxx Media in November 2015. In Germany Claudia Oddo is regularly invited to represent the Italian Opera as by the Italian Council of Hannover, Dortmund and for the City of Wolfsburg to celebrate their 77th anniversary and 40 years partnership with the city of Pesaro performing highlights from Tosca and Carmen with the Philharmonic Volkswagen Orchestra in 2015. In 2014 she took part in the summer masterclass of „Opera Verona“ interpreting the role of Mimì in Puccini’s “la Bohème” conducted by Julius Kalmar and Giovanni Pacor. In the same year she was the artistic director of „Musik zum Anfassen“ at the historical Art Galery „Villa Blavius” where she invited the concertmaster of the Arena di Verona Günther Sanin and his Italian Swing quartet as well as the Bulka Ensemble from Cracow to perform with her and her choir Mondo Musica. 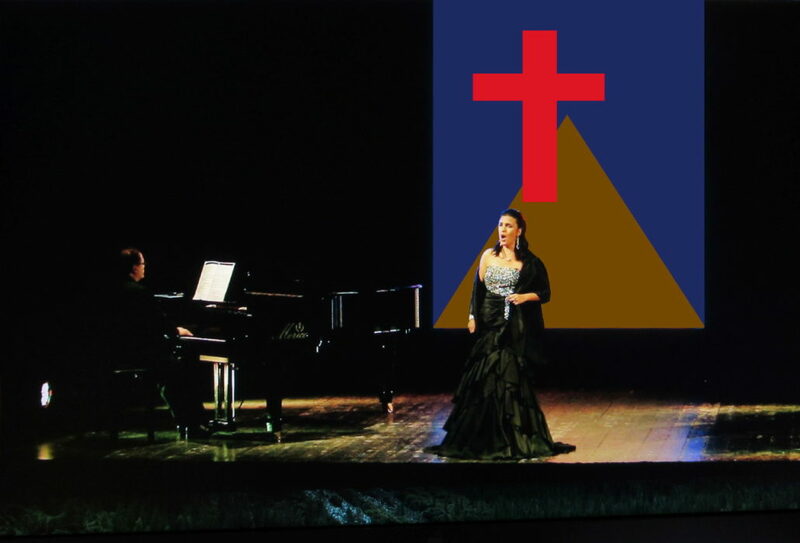 In 2013 for her first international CD production „Claudia Oddo Verdi & Puccini“ the Italian soprano received international recognition as by the opera magazine www.forumopera.com (see issue December 2013). Audio Classica has been producing the album at the Teatro Ristori in Verona with the “Filarmonia Regionale Veneta” directed by Francesco Ommassini, who invited her a year before to sing the role of “La Contessa Cipriano in Verdi’s Rigoletto at the opera house in Ferrara. With the same orchestra Claudia Oddo made her concert debut in Verdi’s “La Traviata” as Violetta with the Baritone Domenico Balzani and Tenor Cristian Ricci at the beautiful Hall of the Castel Vecchio in Verona. 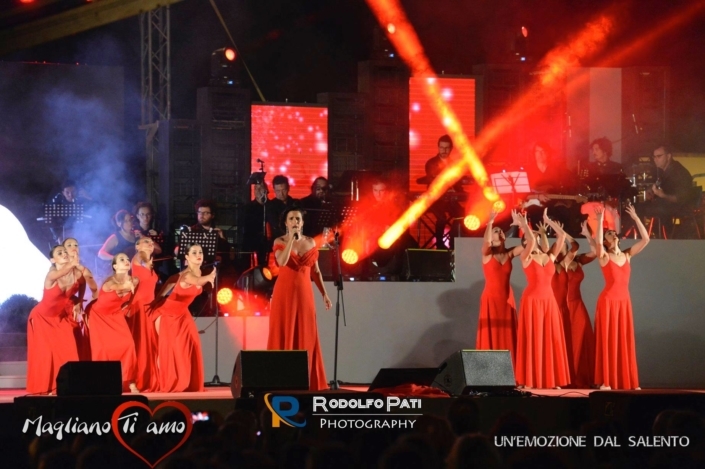 Still in 2013 she has been selected among the new talented voices of the Opera world by “Verona Lirica” and the Fondazione Arena di Verona at the Teatro Filarmonico. She took part at the prizewinner concert singing the arias of Puccini’s Tosca and Verdi’s Amelia from „Un ballo in maschera“. In 2013 at the theatre Gütersloh she has been performing to great acclaim a „Classic & More“ concert program with instant painting on a graphic board created by the Visual Artist scenographer Luca Lolli form Bologna and accompanied by „The Tiffany Ensemble“ from Düsseldorf. From 2012-2010 Claudia Oddo started to work as a professional choral conductor with her mixed choir „Mondo Musica“ which raised from two projects: the „Wiegenlieder Chor“ (Lullaby choir of 4 Generations choruses) and the „Weltfrauenstimmen Chor“ (The Women’s world voices choir) both with the support of the European Union and organization of the „Welthaus“ and „Baobab e.V.“ Bielefeld under the leadership of Michael Lesemann. In November 2009 Claudia Oddo made her official debut as spinto soprano in the Rudolf Oetkerhalle Bielefeld with the “Alte Philharmonie Münster”, conducted by Thorsten Schmid- Kapfenburg. She sang arias and duets from Aida, Tosca, Cavalleria Rusticana, Mme Butterfly. She interpreted the role of Dämonia in Humperdink’s Dornröschen at the opera house Münster in 2007. She won the role of Meg Page in G. Verdi’s Falstaff at the International singing competition „Rome Festival 2006″ for the summer productions in Rome. 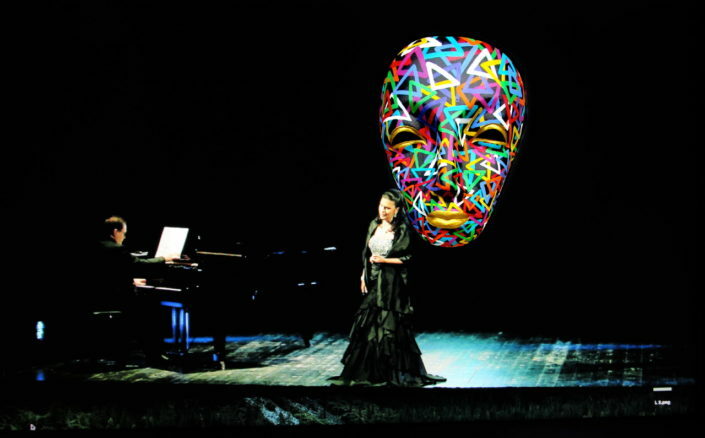 Claudia Oddo made her German opera debut to great acclaim in 2005 singing the role of Paoluccia in the Baroque Opera La Cecchina by Nicolò Piccinni under the directorship of Fausto Nardi at the Schlosstheater Rheinsberg. 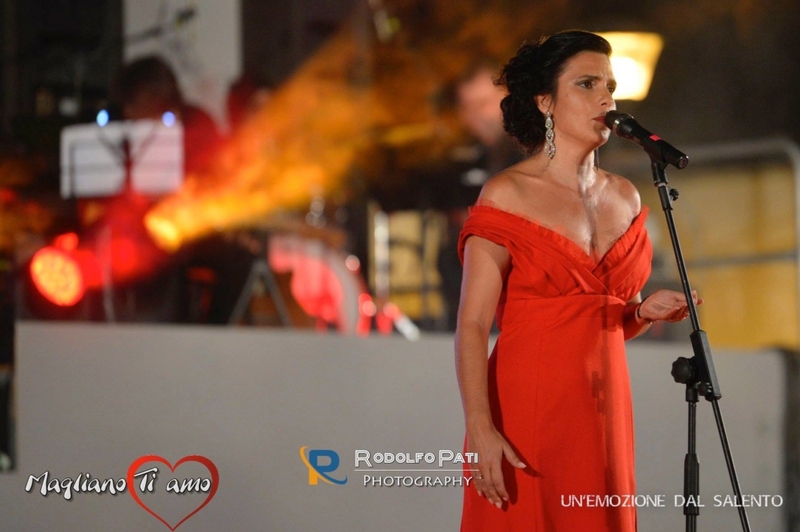 From 2004 to 2003 Claudia Oddo appeared at numerous Italian summer festivals in Emilia Romagna. Other engagements included the roles of Maddalena and Giovanna, both in Rigoletto at the theatre D. Fabbrì, Forlì and with tour of EMR’s theatres, under the directorship of Maestro Giuliano Ciannella. In 2002/2001he was among the prizewinners of the “Mythos”; a one-year opera program and scholarship for young singers at the opera house G. Verdi in Busseto, sponsored by the Foundation “A. Toscanini”. During this program she made her opera debut as Grisette in F. Lehàr’s Die lustige Witwe under the conducting of M. De Bernart at the theatre Salsomaggiore.Other collaborations followed with the Arturo Toscanini Foundation, such as La Traviata directed by Franco Zeffirelli and conducted by Placido Domingo at the opera house Giuseppe Verdi in Busseto. This historical Production was broadcast in 2002 on Italian TV channel Rai 1. While still a student, Claudia Oddo was acclaimed as one of the most talented students of the “Borgatti competition” in Ferrara, where she one a six-month scholarship to the Opera Studio Le Nozze di Figaro in the role of Marcellina. 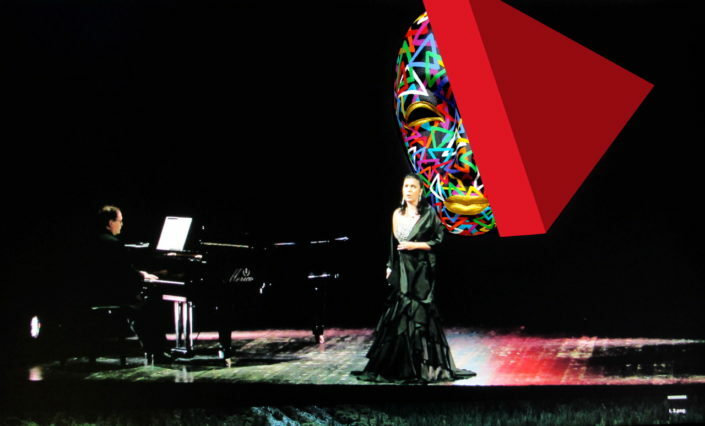 Internationally acclaimed singers and renowned musicians have so far contributed to Claudia Oddo’s career with their skills and tutelage, including: the tenors Giuliano Ciannella and William Matteuzzi, Placido Domingo; the pianists Roberto Negri in Milan; mezzo-soprano Anna Reynolds, the soprano Yva Barthélémy, the stage director Franco Zeffirelli, the conductor as Fausto Nardi, the bass- baritone Roberto Scandiuzzi, the Russian vocal coach Nadja Yumaeva and currently the countertenor Aris Christofellis. Thanks to the important skills of her teachers Claudia Oddo gained a wide knowledge of classical singing which she passionately shares in workshops for choruses and masterclasses for young opera companies.